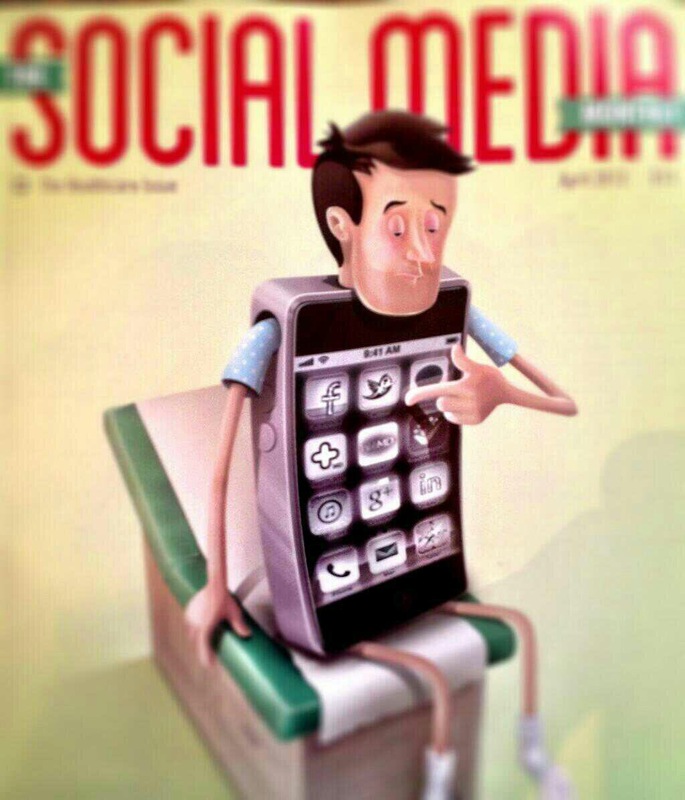 How do health professionals use social media? In preparation for an article I am writing for a midwifery journal, I decided to conduct a short survey to ascertain why health care workers use social media in a professional capacity. The survey ran from 10/4/14 until 27/4/14, and was disseminated via Twitter and Facebook. 1. Do you use social media for professional reasons? 3. In what country do you currently reside in? Respondents were from Australia, Brazil, Canada, England, Ireland, Netherlands, New Zealand, Northern Ireland, Scotland, Spain, Switzerland, USA, UK, Wales. 4. Which social media network do you prefer? 5. How often to you log into social networks? 6. If Facebook is your preferred network, what are the benefits to your professional role? These included widely used, networking, sharing, support, with a significant amount using private communication through closed groups. Even though the question wasn’t asked, several respondents mentioned the fear of recrimination. 7. If Twitter is your preferred network, what are the benefits to your professional role? Benefits included fast responses, more professional than Facebook, access to wide network of individuals and groups, connecting with other professionals, flattened hierarchy (access to leading professionals), support, sharing, global contacts, easy to use. 9. Please give examples of how social media has helped you in your professional role. I would like to sincerely thank all those who participated in the survey. With the International Day of the Midwife imminent, and the countdown to the International Confederation of Midwives 30th Triennial Congress (ICM) from 1-5th June, I want to try to engage with midwives around the world, to encourage and support them to connect through Twitter. I started ‘tweeting’ approximately 18 months ago, and I haven’t looked back. Here’s a glimpse of what Twitter does for me. Nurses and midwives are generally reluctant to use Twitter. Not Facebook, just Twitter. Yet those using it can’t imagine life without it-Twitter has opened so many doors for them, and offered oodles of support. @WeNurses founder and social media expert Teresa Chinn @AgencyNurse is also a registered nurse, and offers thoughts on her blog why nurses and midwives SHOULD engage with Twitter , and some of the reasons why they don’t! If you are worried about using social media professionally, then listen to this podcast by Dean Royles @NHSE_Dean CEO of NHS Employers, as he slays some of the myths. If you want to be a Twitter Buddy let me know, via Twitter, using #TwitterBuddy. I’ll then add your name below! During ICM week connect and sit with an interested midwife colleague, and show her/him how to use Twitter on a 121 basis. Aim for at least one midwife recruit per day! Tweet me the Twitter handles of the new midwife Tweeters, and at the end of the week the results will be collated. The Twitter Buddy who launches the most midwives on a new Twitter journey will be announced the week after the conference! 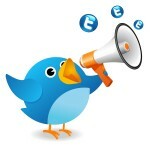 Direct your Twitter recruit to this blog post for encouragement. 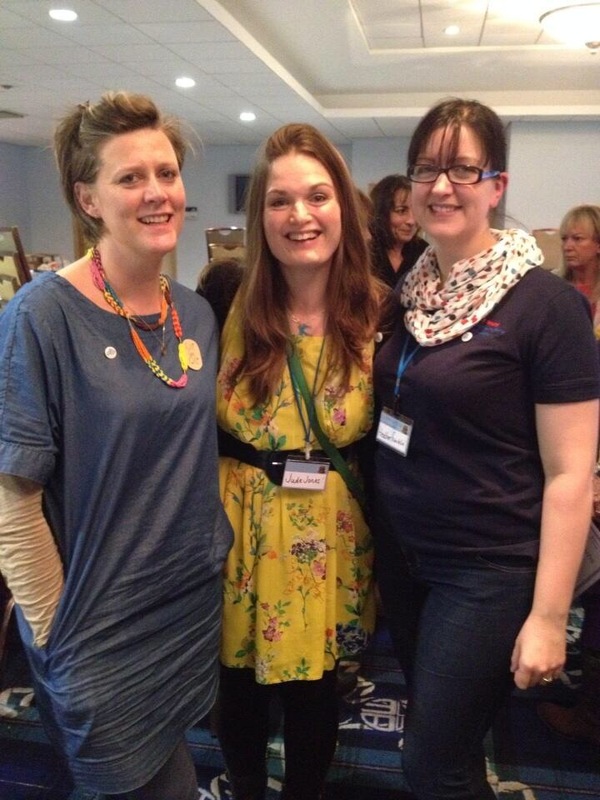 Two exceptional midwives from Bolton, in NW England, decided to plan a conference after being inspired whilst attending MAMA conference in 2013. Joanne Camac and Annabel Nicholas wanted to hold an event to celebrate birth centres, and chose the name ‘Born to Safe Hands’ from their family experience/visitors book. Jo told me ‘a lovely family that Annabel and I looked after wrote this and we felt it was just perfect for our conference‘. So they set about inviting potential speakers, collaborators, film makers and researching venues. Last week the conference happened. From the moment I arrived, I knew I was part of something special. The wonderful Oli Armshaw (@Olvinda), a student midwife from the University of the West of England attended (see photo below), and has written a superb reflection of the day. When Sheena asked me to write a reflection on Friday’s Born to Safe Hands conference, I did what I always do, which is, a) instantly say yes without considering how on earth I’ll lever it in around family/full time placement/exam revision and, b) consult Twitter – and there it was, the whole marvelous day to be relived, one #B2SH tweet at a time! 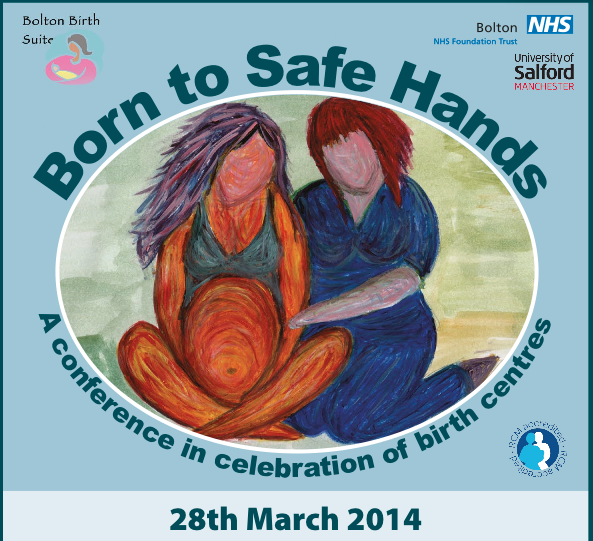 On 28th March 2014, 180 midwives, mothers and a few doctors converged on the home of Bolton Wanderers football club for Born to Safe Hands: a conference to celebrate birth centres, beautifully brought to life by Bolton Birth Centre midwives, Joanne Camac and Annabel Nicholas. 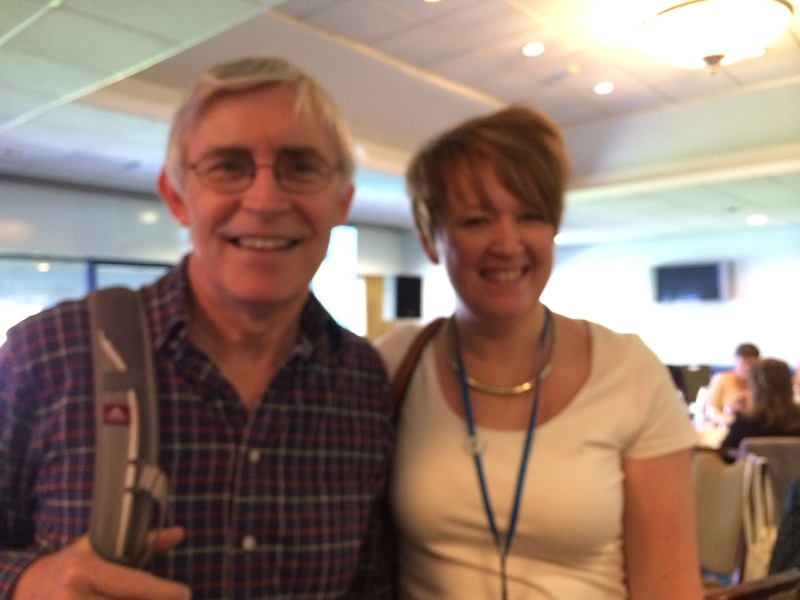 I’m still buzzing from the vibrantly positive atmosphere and sense of building a community, a living network – not just within the walls of the Reebok stadium conference room, but as far afield as Perth, Rio de Janeiro, Edinburgh, wherever Twitter stretches. The midwifery ecosystem keeps growing, inspiring us to keep up the fight for women’s rights to informed choice and dignity in childbirth, and to keep looking for ways to be ‘with woman’ – for all women, not just those who fit admission criteria. ‘Put on your leadership hat and fight for women!’ Cathy Warwick incited every single midwife to be innovative, imaginative and creative about the woman-centred agenda, do research, challenge practice and use emerging evidence. As we all know, it’s not just the birth rate putting midwifery under pressure, but the complexity of the women we are looking after, and we need to keep this complexity in perspective, as it’s not always a problem. Cathy highlighted the need to adapt our care and policies to the over 40s mothers, who are the most rapidly increasing group, and to learn from each other about keeping the numbers up for birth centres and freestanding midwifery units. ‘It’s the baby’s blood anyway!’ cried obstetrician, David Hutchon confronting the misnomer ‘placental transfusion’. No one can still be in the dark about the benefits of timely cord clamping to prevent neonatal hypovolaemia, though third stage practice is slow to change. ‘Love or fear?’ Soo Downe, made it very simple, binary even: Love or fear. Which one are we working from? 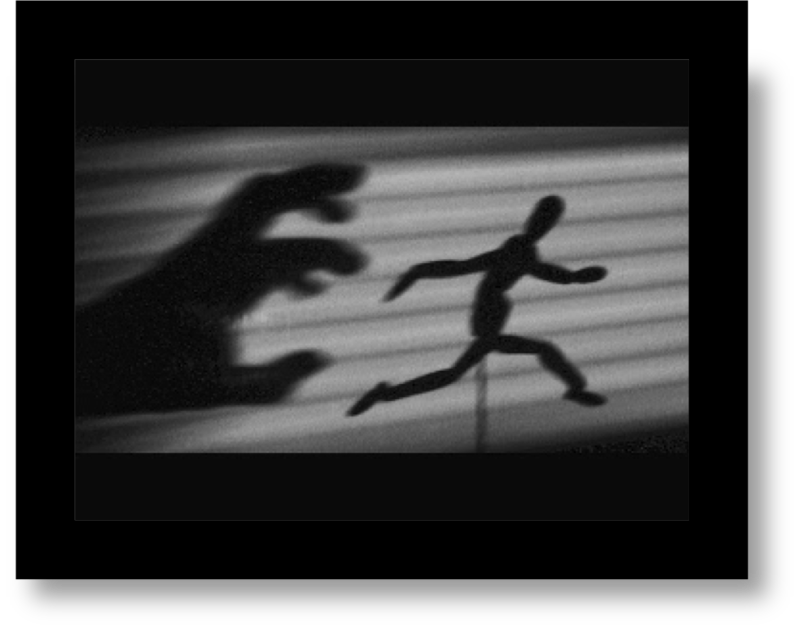 Which drives our decisions and actions? I enjoyed her every word about belief and salutogenesis: the fundamental belief that birth is salutogenic – ie seen from a perspective of wellness. To illustrate the effects of being watched, and the power of belief, Soo showed us this chilling image of Jeremy Bentham’s Panoptican penitentiary (1791). The concept of the design is to allow a single watchman to observe (-opticon) all (pan-) inmates of an institution without them being able to tell whether they are being watched or not. Although it is physically impossible for the single watchman to observe all cells at once, the fact that the inmates cannot know when they are being watched means that all inmates must act as though they are watched at all times, effectively controlling their own behaviour constantly. It reminded me of the main office on delivery suite where 8 women’s CTG traces can be viewed at once on a huge screen – not exactly the ‘private, safe and unobserved’ conditions recommended by Dr Sarah Buckley as the optimum environment for undisturbed, physiological birth. Sheena Byrom’s whizzy Prezi explored the pitfalls of using guidelines-policies-protocols interchangeably, and linked the importance of supporting women to make autonomous decisions with human rights and the dignity agenda. @SagefemmmeSB is a massive advocate of Twitter, as her ‘I love you Twitter!’ video shows, eulogizing about the potential for getting and giving support; sharing ideas and news; building relationships, communities, networks and social capital; influencing change; starting or engaging in debate about practice. She implores all midwives to adopt Twitter, to respond to evidence and articles, to challenge what’s being said, to question and connect with each other. Bring the birth revolution! Twitter pals meet. What next? ‘Is hospital birth a riskier choice for healthy women and babies?’ It was the first time I’d heard Mary Stewart speak and I loved her ‘coming clean’ as a passionate advocate of homebirth. She tackled the knotty concept of risk, swapping the word risk for chance, when talking about out of obstetric unit (OU) birth and transfers to OU from home. Mary urged us to be responsible when talking to women about place of birth, providing balanced information about planned hospital birth as well as planned home birth. What I found most stimulating about Born to Safe Hands, was the social bonding, and positive community building of it all, which Lesley Choucri, director of midwifery at Salford University, related to Cooperider’s work on ‘unleashing the positive revolution of conversations’. Thanks to Twitter, the potential reach of the normal birth conversation at Born to Safe Hands stretches way beyond the immediate 180 people present in the room. In fact, Twitter stats suggested that 123,228 unique users saw #B2SH and the number of impacts was over 2 million, i.e. the potential number of times someone could have seen #B2SH. This is very exciting. Born to Safe Hands really was a celebration of the inspiring woman-led work going on in birth centres around the country – an antidote to fear and feeling disheartened, that we are losing our grip as birth becomes ever more medicalized, as women become more complex, and less curious and trusting of our bodies. Born to Safe Hands has revived my vigour and clarity about how to develop and nurture the new midwifery and bring to life the benefits of being truly ‘with woman’, for all women – the benefits of which span generations. I am posting this on #NHSChangeDay 2014. I pledge to continue to make the case for change in maternity services, until ears listen. Recently, my lovely Italian midwife friend who is a Doctoral student in England, told me of her confusion. ‘What I can’t understand’, she began ‘is why practice in maternity services in UK remains unchallenged when you have so many esteemed academics and the some of best research evidence in the world? She made me think. Last week I was invited to present evidence related to continuity of care and choice in place of birth at one of the Personalised Maternity Care stakeholder events, in Leeds. The events are being held around the country, and are hosted by NHS Health Education England in response to a request from the Permanent Secretary for Health, Dr Dan Poulter. Dr Poulter wants to explore the ambitions for future Maternity Services and what such services might look like by 2022. You can read info via the tweets here. So on finding the evidence it became very apparent-we certainly aren’t using it. Here are my slides. I decided to share them widely to enable discussion and hopefully receive comments and ideas from readers to help inform the Minister. Slide 1: There is an abundance of policy, guidance and results of surveys directing maternity services, which is largely being ignored. This is alarming, though not surprising. Yet let us consider: why was the Peel Report (Ministry of Health 1970) directing 100% hospital ‘deliveries’ given urgent attention, and fully implemented WITHOUT evidence presented or women’s opinions to back it up? Slide 2: We are not using latest research evidence, and according to the National Audit Office report (NAO) and the Public Accounts Committee report (PAC) there is no measuring or reporting progress, no data, no assurance of value for money, and huge variations in cost, quality, safety and outcomes. In addition, women and families are reporting dissatisfaction with their care (Birthrights, CQC, Women’s Institute), few women are receiving continuity, and choice in pace of birth (NAO, BirthChoice UK). Furthermore, stillbirth rates in England are highest in UK, and litigation costs increasing. Slide 3: Margaret Hodge MP spells it out for you to read. Maragert chairs the PAC, and her observations are, I believe, a true reflection of maternity services in England today. Slide 4 and 5: Reality for midwives. Desperation which often leads to leaving the profession, and for those can’t leave, numbness which increases risk of substandard care. There is a link to another post on this blog, where many comments have been made. Slide 6: The NHS Mandate gives some direction for the future. Named midwife. What does that mean? The NHS England definition is ‘a midwife who co-ordinates all the care and delivers some of the care’ . Continuity of care is another misused phrase, but if continuity is good, surely there would be improved responses to ‘mental health concerns’. Slide 8: Reveals some of what this evidence tells us. How can we not take notice? -For women having a first baby, a planned home birth increases the risk for the baby (this is very small- four more babies in every thousand births had a poor outcome as a result of a planned home birth in first pregnancies). -Women planning to give birth in a midwifery unit experienced substantially less medical intervention than those in an obstetric unit. 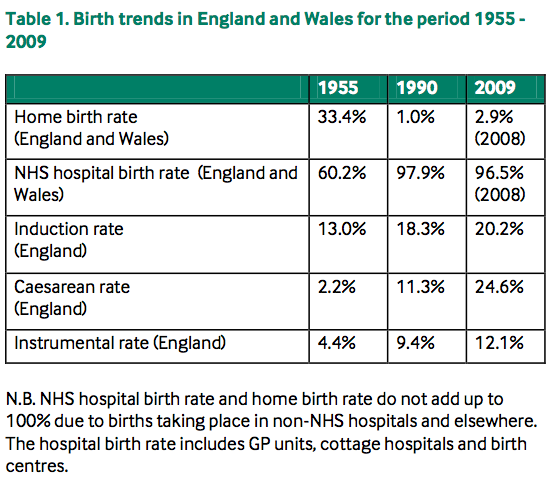 between planned home births or midwifery unit births and planned births in obstetric units.  For multiparous women, birth in a non‐obstetric unit setting significantly and substantially reduced the odds of having an intrapartum caesarean section, instrumental delivery or episiotomy. Do you mention the above evidence when talking to women about their choices? I expect most will remember to mention the small risk for first time mothers wishing to birth at home. But do you advise women about the potential increased risk of unnecessary medical intervention? How do you make evidence accessible for parents? How do you deliver the evidence, do you know what it says? This is a brilliant article on how to share evidence based information. It’s a must read. Slide 13: Is self-explanatory. Note the decrease in obstetric units (OU) and increase in alongside midwifery led units (MLU). This coincides with the number of amalgamated Trusts, and the aforesaid NSF. There is only a slight increase in the number of freestanding midwifery units (FMU), probably due to closures corresponding with others opening. The slide informs us that very few women have the full choice guarantee as proposed in the NSF in 2004. Slide 14: Because of the above, the slide shows that most women (87%) give birth in an OU. 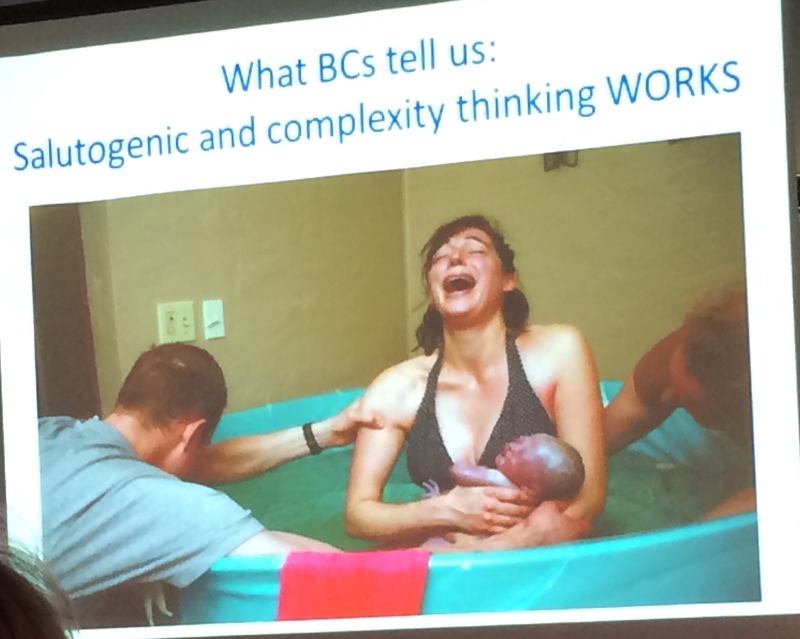 Slide 15: Two recent media articles demonstrating ongoing constraints of providing home birth and birth centre births, yet the evidence is clear that women choosing to birth in these venues are there less to endure unnecessary interventions, and the service is more cost effective. Does that make sense? Slide 16: The best estimate of women eligible to have their baby in a non OU setting (low risk) is 50%, although WHO estimate this should be between 70-80%. Taking 50% of 2012 birth rate (700,000) = 350,000 and deducting 89,000 women who actually had midwife led births in non OU setting, leaves us with the shocking figure of 261,000 women and babies who, according to Birthplace Study, are potentially exposed to unnecessary medical intervention. This is unacceptable. Yet it remains silent, unspoken, when the small risk of home birth is magnified out of proportion. In addition to the human cost in terms of morbidity, there are financial implications, and pressures on the workforce. So now we have the evidence, and things MUST to change. Slide 17: Some of the effects of the previous slide, in terms of mode of birth, and maternal feelings. Diagrams taken from the Dignity Survey 2013. Slide 18: The potential consequences of current maternity service provision. Slide 19: What Personalised Maternity Care should look like, including flexible use of clinical guidelines, to support women’s choices. Slide 20: Relevant and important recommendations from the Public Accounts Committee. -Collaboration: obstetricians, midwives, neonatoligists, service uses, auxiliary staff support each other, and work together to ensure the woman and her family are supported. -Leadership: the service has strong midwifery leadership at all levels. The last slide is of my newest granddaughter, Myla. When Myla is of age to have children of her own, I want her to know that the evidence we now have was used well, to give her the best chance ever to have a positive experience and healthy baby. Please leave your comments. We musn’t give up. We need more midwife Care Makers! Check out what Liverpool students did! I received an email today from the Royal College of Midwives, asking me to post this wonderful news item on my blog. And I was delighted to, for many reasons. As I regularly use Twitter and connect with nurses and midwives at all levels, I read about the massive impact the Compassion in Practice strategy is having on the NHS…both at the bedside and on social media. I’ve been enthused by the role of Care Makers, and have been trying to encourage more midwives to join. So if you are a student midwife, or a midwife, this may encourage you! 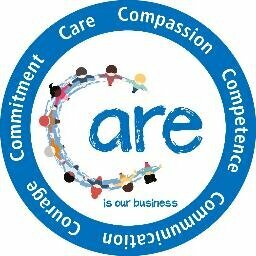 Care Makers are health and social care staff (student and qualified) who act as ambassadors for the 6Cs. They are selected for demonstrating a commitment to spreading the word about Compassion in Practice across the NHS. Care Makers create a unique link between national policy and strategy to staff working with patients. The aim is to capture the ‘spirit’ of London 2012, learning from the way Games Makers were recruited, trained and valued and instilling the spirit of energy and enthusiasm they created. 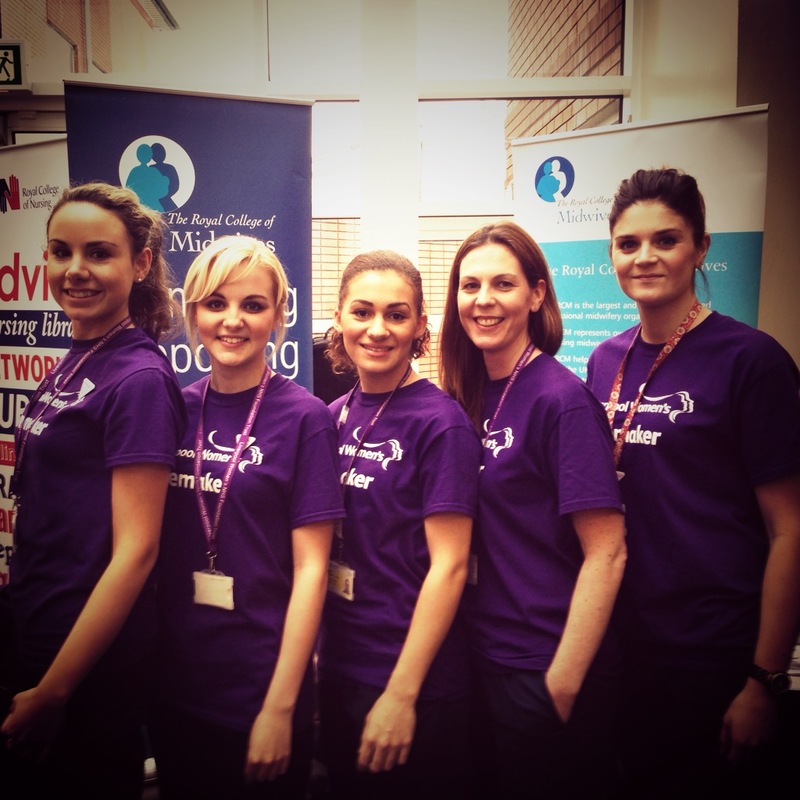 This January five Liverpool John Moores Midwifery Students represented their University at a Nursing and Midwifery Celebration Event at Liverpool Women’s Hospital. 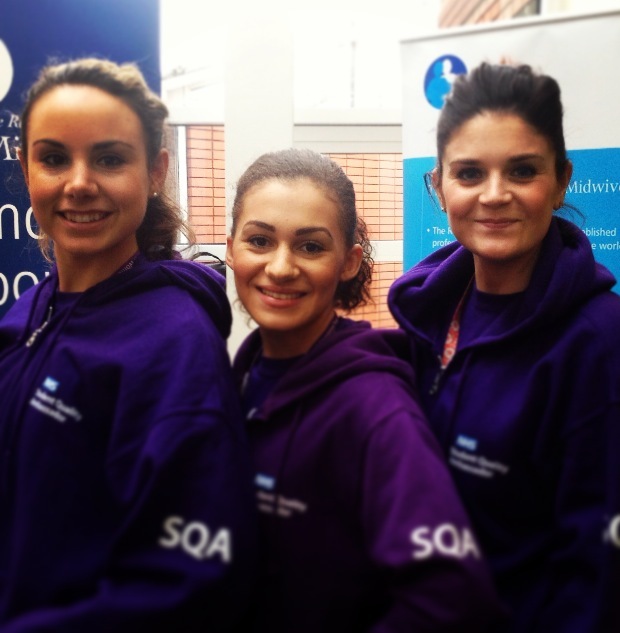 These students (pictured above) volunteered as Caremakers at the event, which showcased services at Liverpool Women’s Hospital. The day was a huge success, with notable external speakers, stakeholders, staff and service users in attendance. Nursing and Midwifery workforce also got the opportunity to make a commitment to their patients in part of the new strategy at the Women’s titled “Our Promise to Patients”. Three of the students also represented the University and Trust as Student Quality Ambassadors – a new role developed in the North West of England for students to champion and highlight good practice and challenge areas needing development in the practice areas of their placements. The event was a great success overall and the students hope that their roles as both Care Makers and SQAs will inspire current and future JMU Midwifery Students to get involved with their local trusts. WOW! What incredibly motivated and passionate student midwives…well done to all of you for representing your organisations, the NW of England, and MIDWIFERY! Thank you! 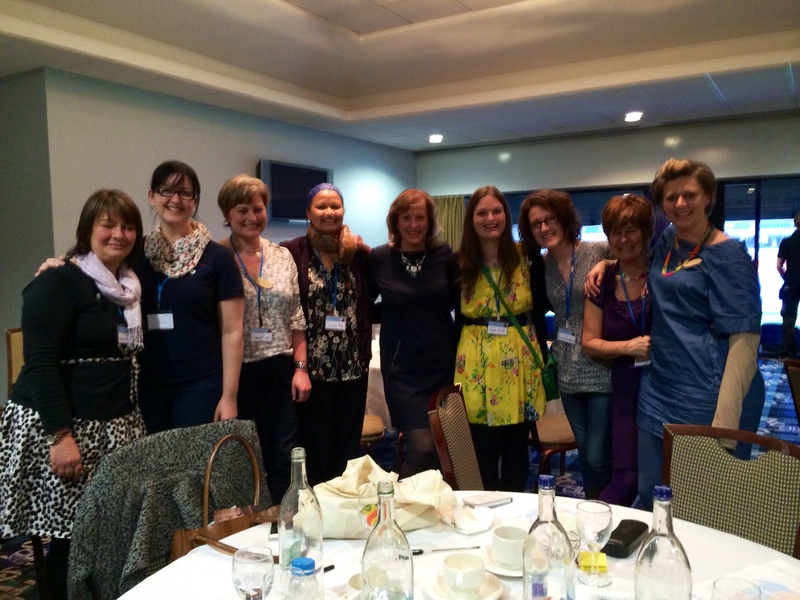 So come on fellow midwives…join the crew! Toni Harman and her partner Alex became known to me when I saw a short clip of one of their outstanding videos, on a social media channel. This was several years ago, and since then I have stayed in close contact with them, assisting and supporting them whenever I can. To say that they took the birthing world by storm is an understatement. This unique partnership has given birth activists the voice they needed, and their expertise in documentary film making means we now how a powerful medium to share knowledge to more people. Hi Toni, thanks for agreeing to answering my questions, hope you have fun! Can you tell us a bit about yourselves in a nutshell? Toni: Thanks Sheena for inviting us to do this! Alex and I met at London Film School 20 years ago, (back then it was called the London International Film School). After we graduated, we formed a company called Alto Films and started making films together. We made documentaries, short films and even a psychological thriller feature film. Then six years ago, we had a baby. And that changed everything. We started making films about birth. We made a documentary about doulas called DOULA! then we started looking into the bigger picture of childbirth. Three years later, we’ve travelled 35,000 miles and interviewed over 150 world leading experts – amongst them, academics, lawyers, scientists, midwives, obstetricians, psychologists and anthropologists. We’ve released short videos on our One World Birth website and started building a community of people on Facebook. In 2012 we released FREEDOM FOR BIRTH, a 60 minute documentary that exposed human rights abuses around the world, particularly highlighting the story of the imprisoned Hungarian midwife Agnes Gereb. In December 2012, we started looking at possible subjects for our next documentary. We started researching the science around birth and the more we read, the more “levels” we seemed to uncover. It was fascinating but also, deeply troubling. So in the summer of 2013, we started filming, first in the UK and then we flew out to the United States and Canada. What we learned shocked us to the core – we realised this film had the potential to change everything. And so MICROBIRTH was born. 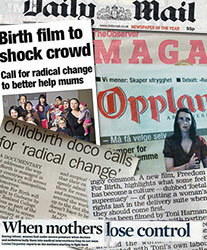 ONE WORLD BIRTH is a now well known name globally, and FREEDOM FOR BIRTH is a huge success. What impact do you think you and the campaign has had so far ? Toni: That’s very kind of you to say. I think ONE WORLD BIRTH is perhaps well-known in the birth world, but outside the birth world, I don’t think many people have heard of it. Same goes for FREEDOM FOR BIRTH – I am really proud of its “success” in terms of the number of people in the birth world who have seen it, or at least have heard about the film. With the premiere launch, we had over 100,000 people see the film at over 1,000 screenings in 50 countries in 17 languages – all on one day. And I’m very proud that the film has played a part in starting to change maternity policies worldwide so that the rights of birthing women are respected. But realistically, outside the birth world, I’m not sure how many of the “mainstream population” have heard about it or know about the issues. Unfortunately, women’s rights in childbirth are still being abused every day all around the world – many expectant women are not being given full informed consent, home birth attended by midwives is not available as a supported choice in many parts of the world and indeed, in the past year, many more midwives have been criminally prosecuted for supporting women giving birth at home. I remain optimistic that change will happen so that all women’s choices are fully respected everywhere around the world and I am excited by the potential of the formation of Human Rights in Childbirth and Birthrights as organisations that will help further the cause. I am so excited about your new project MICROBIRTH -do tell us about it please, and a something about the inspiration behind it? Toni: MICROBIRTH is our new feature-length documentary asking if medical interventions in childbirth could be damaging the long-term health of our children and have repercussions for the whole of our species. We wanted to make a film that looks at birth in a whole new way, through the lens of a microscope. This has never been done before and we believe the science the film is revealing is the missing piece of the jigsaw. This could change birth around the world, forever. The film explores the latest scientific developments in the fields of microbiology, physiology and epigenetics. Some scientists are starting to question if there is a link between medical interventions in childbirth (specifically use of synthetic oxytocin, antibiotics, C-section and formula feeding) with an increased risk of our children developing non-communicable disease later in life. Non-communicable diseases include heart disease, asthma and other respiratory diseases, diabetes, autoimmune diseases, some cancers and mental health disorders. They are already at epidemic proportions around the world and are the world’s no. 1 killer. But these diseases are on the rise. It is predicted that the cost of non-communicable disease could bankrupt world healthcare systems by the year 2030, an event that could have catastrophic consequences for mankind…. What are your plans for this campaign? Toni: We need to raise $100,000 to complete filming and to get the film seen around the world. So we’ve launched an Indiegogo campaign to help us raise the funds we need. If we can raise enough money, then we want to film at the Human Microbiome Project in New York, the United Nations, the World Economic Forum and the World Health Organization as well as filming the top people at leading obstetric organisations to hear their view about the potential long-term consequences of medical interventions in childbirth. The most exciting part of this project is how we want to release the film. 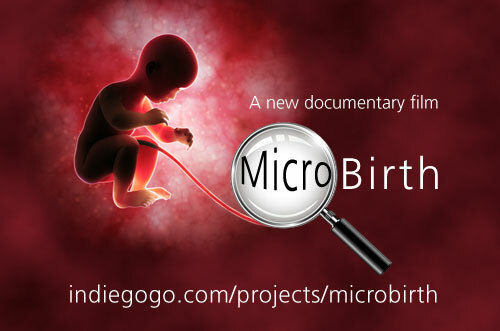 Just like we did with FREEDOM FOR BIRTH, we want to have thousands of premiere screenings of MICROBIRTH held all around the world on one single day. We want to create a global simultaneous event with screenings in every community, in every country so that we can grab the attention of the global media and we can grab the attention of decision-makers including our Presidents and Prime Ministers. It sounds ambitious, but we truly believe that if we can do this, especially if we have the the support of strong-minded, strong-willed individuals committed to making change happen. In terms of what we want this film to achieve, we want to raise awareness that there could be long-term consequences arising from the medicalised way we are giving birth today, both for our children and for our whole species. We want to get everyone talking about this and taking this issue extremely seriously for the future of humanity could be at stake. And we would love to see much more scientific research looking at the potential long-term consequences of medical interventions in childbirth, before it is too late. What’s the most important thing you have learnt since beginning this amazing journey of campaigning for better childbirth? Toni: We’ve been very fortunate in being able to film interviews with over 150 experts across so many different fields. But I think there’s two pivotal moments in our journey so far. The first birth I filmed completely changed my world view. It was four years ago and it was a home water birth in the UK with the mother and father supported by a doula and two wonderful midwives (it was the first birth featured in our DOULA! Film). It was a completely physiological labour, birth and 3rd stage with no pharmacological pain relief, not even gas and air. The labour and birth was the most beautiful, amazing, calm, wonderful, inspiring thing I have ever seen. It was perfect. I saw with my own eyes what birth could be like. I know some women might not want a home birth. And some women might want or need pain relief and other medical interventions. But the beauty of that moment, well, it was simply life-changing. The second pivotal moment was last summer when we were filming for MICROBIRTH. We filmed a Professor of Immunotoxiciology at Cornell University. He told us exactly why and how interventions in childbirth could be damaging the long-term health of our children with implications for the whole of mankind. We had huge goose-bumps. I still have them now as I remember that moment. If I had a magic wand, and could grant one wish to ensure all women had a positive birth experience, what would you ask for? Toni: After we made FREEDOM FOR BIRTH my hope was that every woman on the planet has the best possible birth wherever, however and with whom she chooses to give birth. I hope that all women are fully informed about their birth choices and that these choices are fully respected by every healthcare provider. But now with MICROBIRTH, I have one more wish. That every expectant mother and healthcare provider is fully informed about the importance of seeding the baby’s microbiome with the mother’s own bacteria. That even if a mother needs to have a C-section, that she is still fully supported with immediate skin-to-skin contact and with breastfeeding. It sounds a technical, scientific wish, but if this was possible on a planet-wide basis, I believe that this could make a significant difference to the future health of mankind. And lastly, what drives you both, as a couple, to stay motivated and passionate about your work in this area? Toni: When we were at film school, we were told to never make a film unless you felt that it had the power to change the world. So every film we make, we honestly do set out to change the world. That’s what drives us forward. That’s what motivates us. The thought that we can use our skills as filmmakers to make a significant difference to the world. With MICROBIRTH, we think this could be a game-changer. This could be THE ONE. We feel that this is the most important film we will ever make. But to get it finished and seen around the world for maximum impact, we need everyone’s support – not just financially in terms of contributions to our fund-raising campaign, but in sharing links and in spreading awareness, both now and when the finished film is released this September. Thanks Sheena for asking me to do this. It was fun! Earlier this month a health correspondent from The Independent contacted me via Twitter to ask me if I would be willing to comment on this article, written the day before. The piece quoted the words of a very honest and courageous midwife, and I applaud her. I don’t usually like commentaries which could potential cause fear amongst women who use our maternity services…and I am always wary of journalists, for this very reason. However this article is very accurate, and I am sure 80% of midwives would agree with what is written. I wrote about these issues here. The RCM are continuously campaigning for more midwives, and although NHS England have published a staffing strategy placing onus on Trusts to ensure safe standards in terms of capacity and capability http://www.england.nhs.uk/2013/11/19/staff-guidance/, there aren’t enough midwives to fill posts. Support staff are crucial, as often midwives are doing non midwifery tasks, but often organisations can’t afford them either. We are constantly reminded that there are increased pressures within maternity services due to an increasing birth rate and complexities of those using the service, but external and internal reviews of NHS organisations and departments, and risk management agendas (including processes relating to CNST) are adding to the strain through increased bureaucracy and fear. It seems some midwives possess professional resilience to pressure and adversity in the workplace, managing to stay positive and motivated despite the increasing demands placed upon them (Hunter and Warren 2013). . One of the themes from this study findings was ‘building resilience’, where participants demonstrated the development of strategies to help themselves and others to cope. 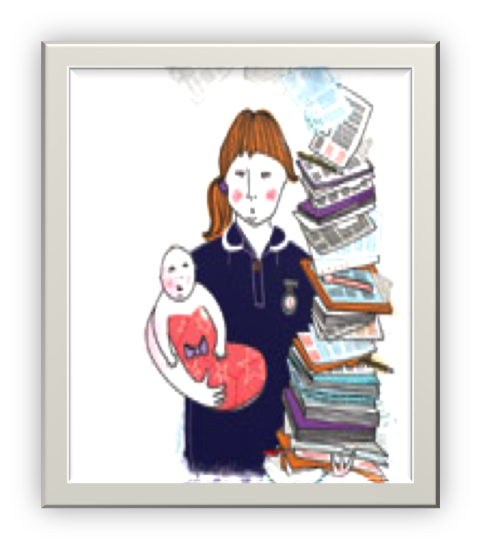 So where do student midwives and midwives get the support from, to help them to cope on a daily basis? Do they know whom these ‘resilient midwives’ are, to help them to build coping mechanism for preservation? Sometimes sharing a crisis moment with a work colleague or supervisor of midwives does the trick, and support is there and continues. But there are times when practitioners fail to share feelings for many reasons, including time, confidentiality, and confidence. I had specific colleagues that I turned to in stressful times or moments of crisis, and I knew the things I could do to help me re-focus and keep things in perspective. In the early 1990s I had read Caroline Flint’s book, ‘Sensitive Midwifery’ (Flint 1991), and I loved and used the suggestions Caroline gave to midwives on self-care. I think they helped me. I have written a short piece in February’s edition of Practising Midwife, about how social media and online resources can help practitioners to stay in touch with like minded individuals and to glean tips to try to stay positive at work. And later this month I have written a @wemidwives chat to share ideas with nurses, midwives and students. Join in if you can! The Government needs to hear and act in terms of resourcing increased midwife numbers. The problem will not go away. Choice, continuity of care and carer and the sustainability of independent midwifery are all crucial issues that need urgent attention, BUT WE NEED MORE MIDWIVES. For maternity services, there needs to be a shift of focus on wellbeing instead of illness, and kindness and compassion instead of punitive culture where fear and blame prevails. The latter adds extra burden on an already pressured service. Although midwives are leaving due to increased stress at work, there are many who can’t, and they need to be valued and cared for. We need an invigorated focus on reducing unnecessary medical intervention during childbirth, mainly because there is emerging evidence that the consequences are potentially catastrophic.